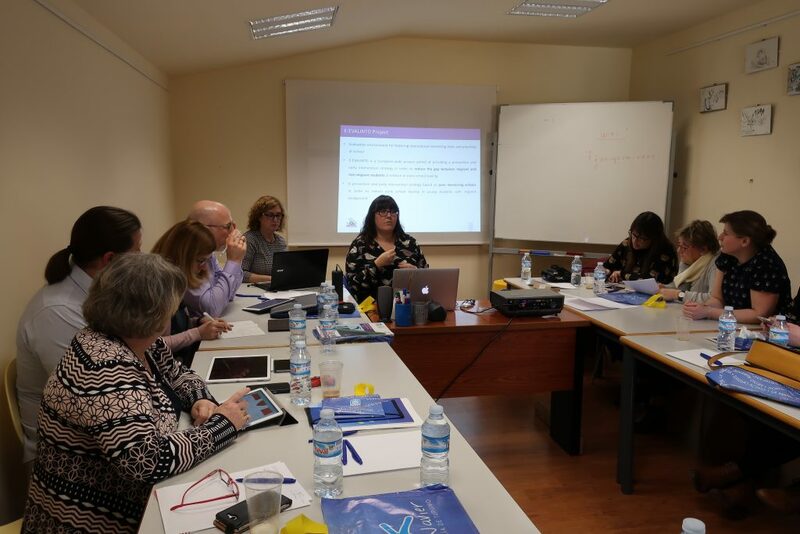 The partners of the project “Study of Religions against Prejudices and Stereotypes” (SORAPS) met in Salamanca (Spain) at the Institute of Educational Sciences of the University of Salamanca for the third meeting to present their interim results and prepare the next steps. During the meeting, the partners arranged the final details of the first in-presence teacher training event (C1) that was taking place in the same time, agreed to the final version of the IO3 “Online Training Platform” basic features and on the functions and roles of the online tutors, and discussed the first ideas and possible challenges for the multiplication training events in the partner schools. Furthermore, important doubts on administrative and financial issues, still lingering among some partners (especially schools), could be completely clarified. The partners agreed on that it was a very productive meeting for all. The next meeting will take place in December 2018 in Florence, Italy. The SORAPS project team gives thanks to the team of the GRupo de Investigación en InterAcción y eLearning (GRIAL) for hosting us so kindly and hospitably. On a rainy day in Tortona, a small town in northern Italy, 130 students from 11 to 17 years old learned by playing how they should act when being online. Using Non-Formal Education methodologies, these young people were engaged in a “learning through gaming” process that gave them a deeper view on how our acts online affect our personal lives offline. Through several actions, participants have built an online space with their peers and discussed which are the responsibilities they have and how they should act when visiting the Internet. At the same time, as an unexpected consequence, children tackled the issues of rights and attitudes of users, thus bringing the digital world into a real, tangible dimension. Some of the most interesting topics addressed were cyberbullying, fake identities, good and what can be deemed as a bad behaviour online. But middle and high schoolers were not the only ones reached by WYRED. As a matter of fact, 60 among youth workers in the field of intercultural dialogue and Civil Service volunteers and coming from all around Europe took part in a series of workshops organised within the WYRED framework. The ultimate objective was that of increasing their engagement in the process of Social Dialogue in Digital Society and also raise their awareness on a series of topics while trying to identify challenges and opportunities. Since some of the participants where part of the 1st Cycle of WYRED, they also had the chance to present their research and provide the facilitators with new ideas and feedback on how to empower more young people and how to make WYRED even more inclusive. We are happy to see WYRED growing. Why don’t you join our community? The post Never too young to know how to act online… appeared first on netWorked Youth Research for Empowerment in the Digital society. 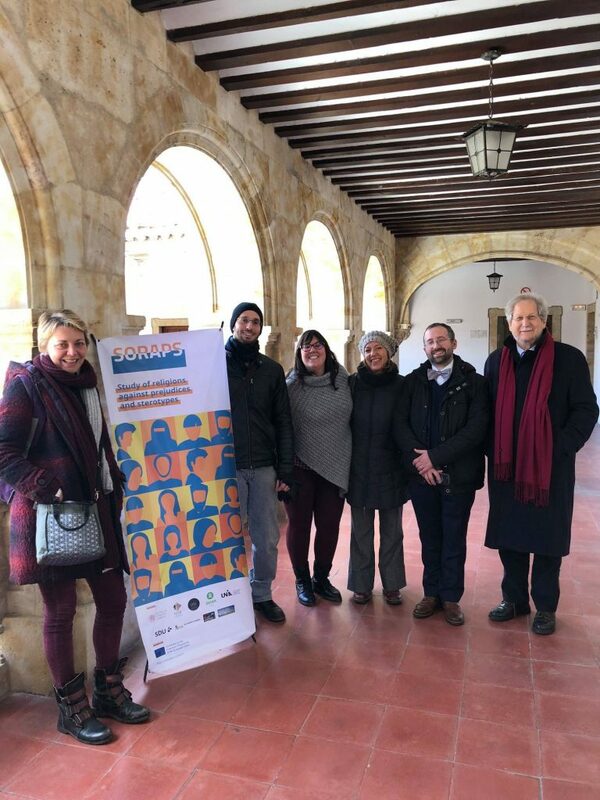 As the SORAPS Project enters its implementation phase, the University of Salamanca (USAL) will set up a training course to be held in two sessions: the first one, from 9th to 13th April, 2018, and the second one from 17th to 21st December, 2018. 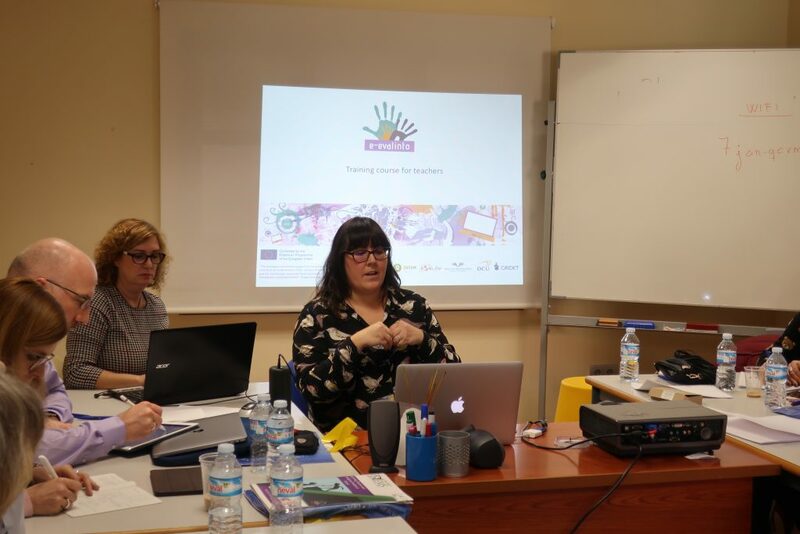 Teachers participating to this course will be able to gain a full picture of the aims and objectives of the SORAPS project, while also learning how to properly make use of the Online Platform and the other tools made available by the project. In addition, teachers will be presented with the main topics related to the aim of the project, such as Human Rights, Religious freedom, stereotypes and intercultural dialogue, and will learn the proper teaching methodologies and techniques to introduce them in class. The sessions will cover a wide array of topics and will envision frontal theoretical lessons as well as practical ones, delivered by the project partner institutions. The contents presented during the course will be deepened during the Online Training, which will constitute the follow up of the face-to-face training. At this link a provisional syllabus of the training course. Very soon the final agenda of the training course. Stay tuned! 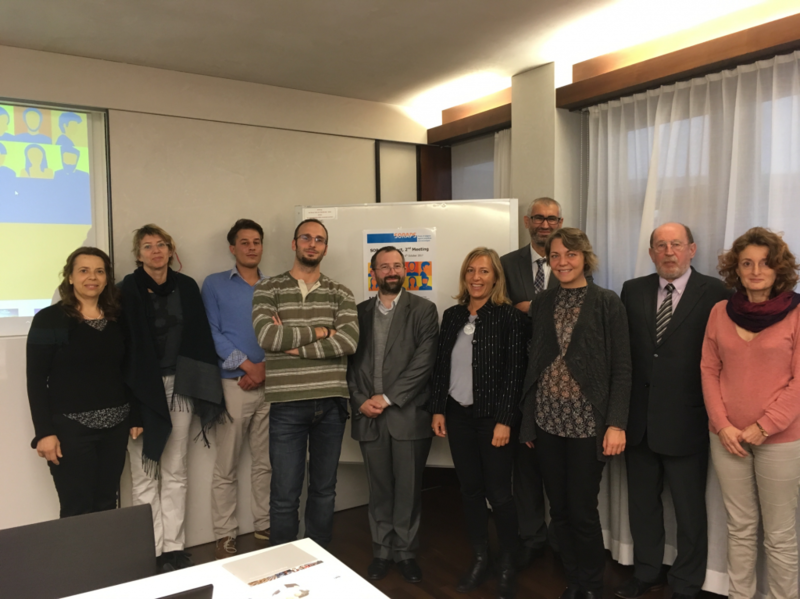 Between 13 and 15 November 2017, the consortium partners participated in the third WYRED project meeting, hosted in the Oxfam Italia premises in Florence. The meeting was not just essential to assess the progress made so far and share the diverse experiences and expectations pooled during the first cycle of implementation, but it also proved crucial to define the next steps to be made. The need to define new strategies to engage more stakeholders and young people in the project activities was, in a way, the core of the meeting; many other ideas were also shared, most of them trying to resolve the main concerns arisen during the implementation of the first phase. The efforts and discussions made over the three days definitely paid off: the consortium partners succeeded in solving most of the issues concerning the accessibility to the online platform, redesign the Delphi from scratch, and scheduled several national and international events to promote the Project. Online forums on topics of current and global interest have also been set up: they will be focusing, at least at this initial stage, on environmental pollution, tolerance and migration, gender-based discrimination and violence, and be led by the young participants to the WYRED Project. Stay tuned to receive further information about the future of WYRED! The post WYRED Florence appeared first on netWorked Youth Research for Empowerment in the Digital society. The Ca’ Foscari University of Venice was officially invited by the International Society for Historical and Systematic Research on Textbooks and Educational Media (IGSBi) to the Annual Conference of the International Society for Historical and Systematic Research On Textbooks And Educational Media present EU projects related to Religious Education. Never, as in the year of the Fifth Centenary of the Protestant Reformation, addressing the important and often neglected topic “Religion and Educational Media” has proved so relevant. The numerous proposals and the pleasing number of more than 60 participants, were further proofs of the importance of the topic. 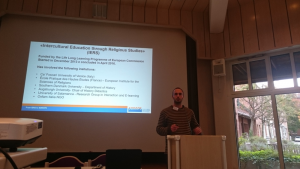 Within this context, the IERS – Intercultural Education through Religious Studies project and its successor, the SORAPS – Study of Religions against Prejudice and Stereotypes have been presented and greatly appreciated by the participants. The contributions from the conference will be published in a volume in 2018. 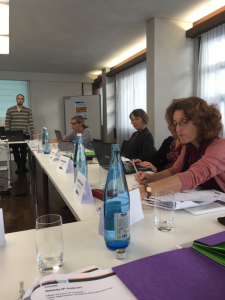 The second SORAPS project meeting took place in Augsburg (Germany) last October, with the participation of all the consortium partners. The summit marked the definitive transition from the IERS to the SORAPS, other than an opportunity to assess all the project activities implemented and the working processes carried out so far, especially those involved with a greater engagement of the partner schools. 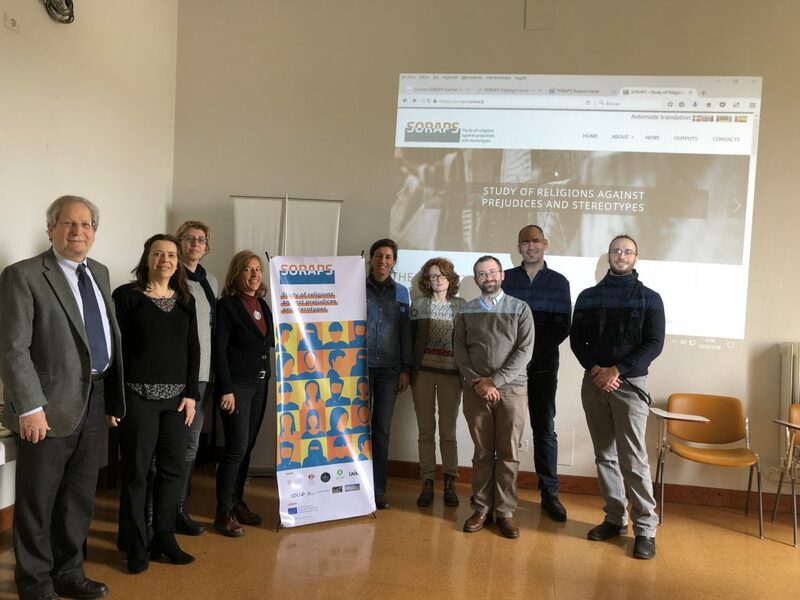 The IO1 (Guidelines on Stereotypes and Prejudices on Religions) finalization was also assessed, with the consortium partners committing to bringing it up to date with new insights throughout the life-cycle of the project. The IO2 (i.e. the Teachers Training Course) was also thoroughly discussed, and its curriculum, the topics addressed, and the training materials, schedules and activities to be done by teachers during the course were revised accordingly. The Training Materials for IO2 are currently under realization, while the design of the IO3 (Teachers Training Platform) is now being developed. Last, but not least, the project meeting also allowed to discuss the consortium’s future strategies for widening our pool of potential stakeholder to whom disseminate SORAPS’s news and products. The first Intellectual Outputs of SORAPS Project, the document entitled “Guidelines on Prejudices and Stereotypes about Religions” is published and freely downloadable in its first version. It is a short publication which discusses, on the basis of existent literature and surveys in partner schools, which prejudices and stereotypes regarding religions should be engaged in schools and which training approaches are required to debunk them in a critical and scientifically informed way. It will serve as guidance for the design of the training materials of the Intellectual Output 2, the Teachers’ Training Course. Even if is complete in its contents, it is a living document that will be reviewed and updated through the life-cyle of the Project. 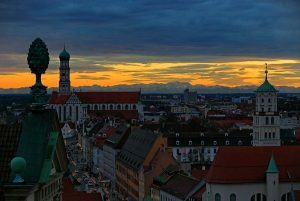 Starting from Wednesday 4th, until the Friday 6th, the city of Augsburg will be hosting the partners of SORAPS for their second project meeting. The end of the first year of the project becomes closer and partners want to discuss about the challenges faced in this period in order to improve the implementation. Beside the management tasks that are constitutive part of project meetings, partners would like, in particular, to deepen the opportunities that this project offers in terms of exploitation, considering the relevance of the topic addressed at this particular historical moment in Europe and worldwide. In fact, stereotypes and prejudices not adequately addressed lead to an increase of intolerance that we are witnessing today. Education and cultural awareness, of children and youth in particular, are the main and the priority channel through which we need to heal and to work on further prevention of this intolerance.That what is SORAPS about!